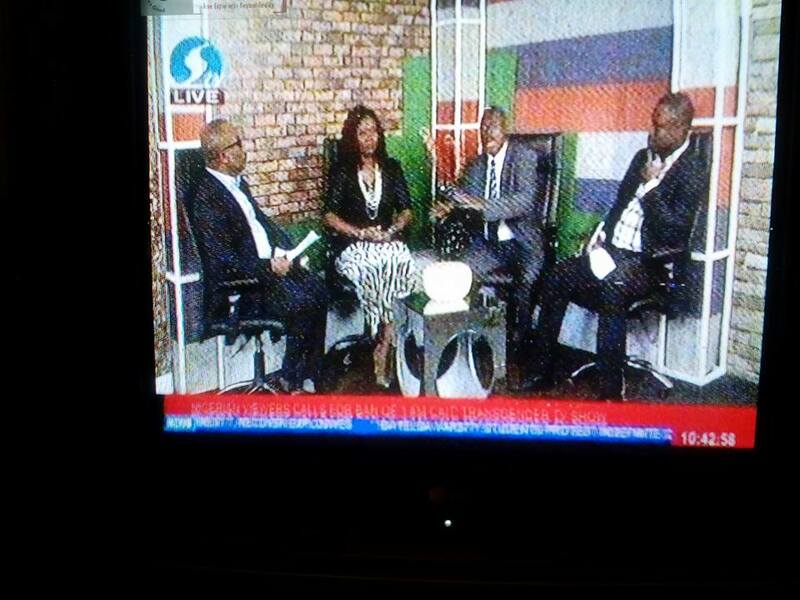 Spaces for Change’s director, Victoria Ohaeri was a guest analyst on Silverbird Television’s (STV’s) special media parley to commemorate Nigeria’s Democracy Day, and 365 days of a change of government in Nigeria. In a live broadcast on Sunday, May 29, 2016, Ms. Ohaeri and Rtd. Colonel Majoyegbe assessed the effectiveness of the legal infrastructure for conflict management, counter-terrorism and human rights in Nigeria. 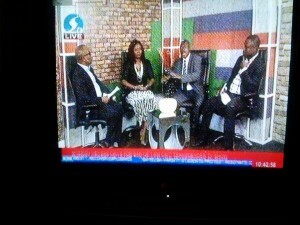 This discussion was timely, coming in the wake of the violent conflicts in different parts of Nigeria. Recent examples include the Biafra secessionists in the South East, the Niger Delta Avengers in the South-South, the Boko Haram insurgents in the North East and violent clashes between the Fulani herdsmen and farmers across the country. She started by identifying two key drivers of violence in Nigeria: 1). the high unemployment rate and 2). the political behaviour and responses of governmental actors to crisis situations. According to the National Bureau of Statistics, Nigeria’s employment crisis worsened in the first quarter of 2016, with unemployment rate rising to 12.1 per cent, pushing up the the population of unemployed Nigerians by 518,000 to over 1.45 million. More specifically, “out of a total youth labour force of 38.2 million (representing 48.7% of total labour force in Nigeria of 78.48mn), a total of 15.2mn of them were either unemployed or underemployed in Q1 2016 representing a youth unemployment rate of 42.24%. Add the grim statistic above to UNICEF’s finding that over 10 million of school children are out of school, with over 90% of them, concentrated in one region of the country. Any country with such high numbers of young children, adolescents and the youth, who are not actively engaged in any meaningful activity, can be likened to a ticking time bomb waiting to explode at any time. Secondly, how does the government, through the political leaders, respond to different kinds of crisis situations in the country? When security forces respond to certain situations in one part of the country with brute force, and treat similar scenarios in other parts of the country with kid gloves, the differential treatment becomes a source of suspicion, division, mistrust for the state, and conflict among regions. Exemplifying this scenario is the secessionist agitations and peaceful public protests in the South East that have attracted brutish military operations, resulting in mass murders of citizens by security agencies, while the bloody operations of Fulani herdsmen, who go about ravaging farming communities and slaying the inhabitants, have been largely overlooked by the same military authorities. Similarly, in the president’s Democracy Day national broadcast, he reiterated the government’s commitment to flush out militants in the Niger Delta and insurgents in North-East, but was totally silent on the issue of the bloody herdsmen activities in the country which have reportedly claimed more than 3,000 lives. The inconsistent responses have stirred widespread anger and ethnic bitterness, provoking heated debates among members of the different regions and ethnic groups in Nigeria. 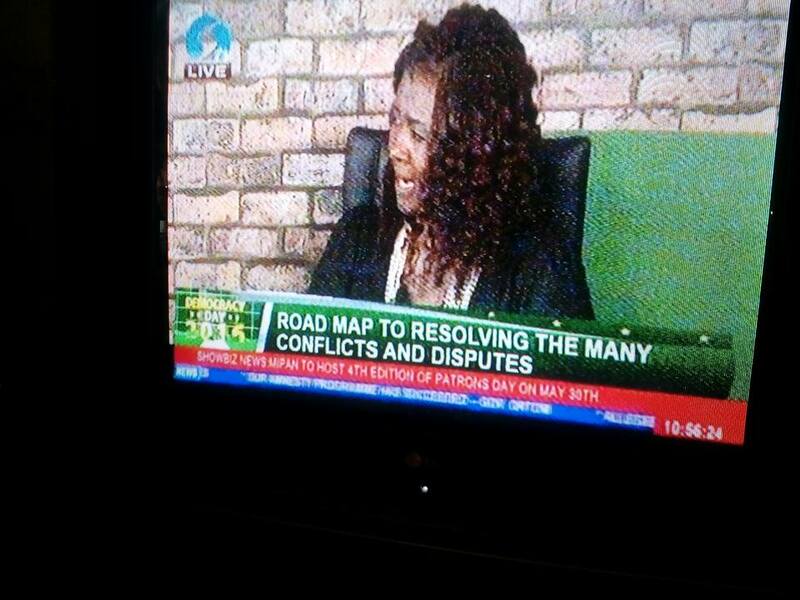 The road map for resolving these conflicts include an overhaul of the legal infrastructure for conflict management, counter-terrorism and human rights in Nigeria. Infrastructure here encapsulates the range of policies, regulations, laws, institutions and mechanisms in place for the resolution of conflicts in Nigeria, and for countering terrorism. One major security policy issue requiring reform is the overly-broad definition of terrorism on the Terrorism Prevention Act of 2011 as amended, which has enabled security operatives to exercise their security enforcement powers in a manner that is prone to abuse. Rtd. Colonel Majoyegbe’s analysis of the military responses to the case involving the secessionist leader, Nnamdi Kanu, sheds light on the imperative of reform. This case which is an ordinary instance of sedition, but broadly characterized as a terrorist activity, leading to Kanu’s prolonged incarceration, phony treason charges and peaceful-protests-turned-bloody, is an example where the military ought not to get involved at all. An amendment is necessary to promote integrity and legitimacy of military action. Regarding institutional changes, Ms. Ohaeri stated that authorities often confuse personnel changes with institutional reforms. This manifests in the frequent change of heads of military formations, as opposed to closing the gaps in intelligence gathering, justice delivery and the criminal administration of justice systems. Institutional reform refers to the process of reviewing and restructuring state institutions so that they respect human rights, preserve the rule of law, and are accountable to citizens. It also entails the creation of mechanisms for public engagement, allowing citizens to express themselves and hold their governments accountable. In her closing remarks, Ms. Ohaeri warned that the quality of official responses to conflicts is a very important indicator of government’s sincerity and commitment to the unity of the country. To win public trust and inspire confidence in national security objectives, state responses to conflicts must be swift, consistent and fair at all times.